Hope 2017's been treating you well! Many readers have been wondering how to better connect with the other newsletter subscribers. With that in mind, we're bringing a Facebook group to you! Find it by searching "Startup Digest: Women in Entrepreneurship". It's open to anyone for the next few weeks. Please feel free to use it as your space to meet other women entrepreneurs, offer your expertise, and ask questions. 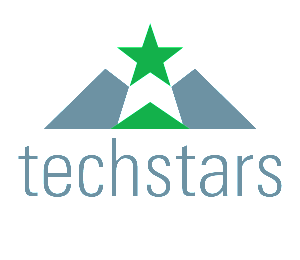 The next session of Techstars global accelerator programs kick off in July 2017: Alexa Accelerator, powered by Techstars, Chicago, IoT, Kansas City, LA, London, Mobility, NYC, Techstars Adelaide, Techstars Retail, in partnership with Target, and Techstars Atlanta, in partnership with Cox Enterprises. Interested in applying or know someone who is? Learn more or apply by April 9th. Whether you're managing a corporate team or your own business, you can be a better leader. Be agile, be ready for change, and be strategic. Kind of like Shark Tank, kind of like a Food Network competition - "Queen Boss" is a new show that features black female founders and self-made moguls as judges. The world celebrates young entrepreneurs, but you can pursue your dreams at any age. Read about entrepreneurs, ages 19 - 67, who launched successful ventures. "Yeah, I have no shame in it. I may have fear in my belly, but I just push past those nerves. Years ago, I read Delivering Happiness, by [Zappos CEO] Tony Hsieh. I was struck by how he saw company culture, and I knew I wanted to build a business like that one day. So I picked up the phone and dialed his number. He didn’t believe it was me! Over time we developed a friendship, then a mentorship."